Home » News » Water, Wells and What’s This? By Mrs Beecham in News on 13th December 2017 . We recently rediscovered the well in the playground. Built sometime in the 19th century, we assume, the well existed before the school was built in the late 1860s, on the site of a farm and farm buildings. Once the school was built it was forgotten about and not discovered again until 1947, by which time the school had been in use for over 50 years, drawing all its water from a pump across the road. Horace Reed was 17 when he discovered the entrance to a tunnel in the lean-to area of the school (now a toilet block). At the behest of the head gardener from Loders Court, Horace was sent down the hole to investigate the passage below which proved to be of a narrow stone construction. Horace didn’t have a torch so initially was only able to venture a few feet before he (fortunately) turned round. Had he continued at that time he would have discovered a 35 foot long tunnel which ended abruptly when it enters a sheer vertical shaft, being a well filled with water to a depth of over 8 metres! Following this discovery Dorset County Council determined to use this supply of water at the school and a series of works and sampling measures took place over the next few years. By the 4th June 1951 an electric pump was in place providing well water to the school sinks. Eleven years later the school was finally connected up to mains water and the well, again, went into disuse and was forgotten. In 2004, during building work for the new block, the well was rediscovered – this time from the well end rather than the tunnel end. However, by 2017 it had largely been forgotten again, the only thing marking its existence, a dull grey metal cover (one of many) at the edge of the playground. 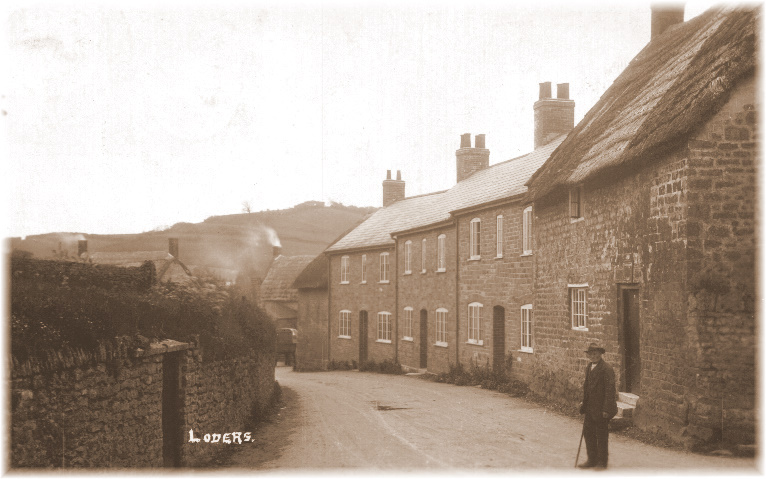 As part of their work on the history of Loders, its water sources and wells, the local history group re-opened our well and shared their pictures, videos and knowledge with us. 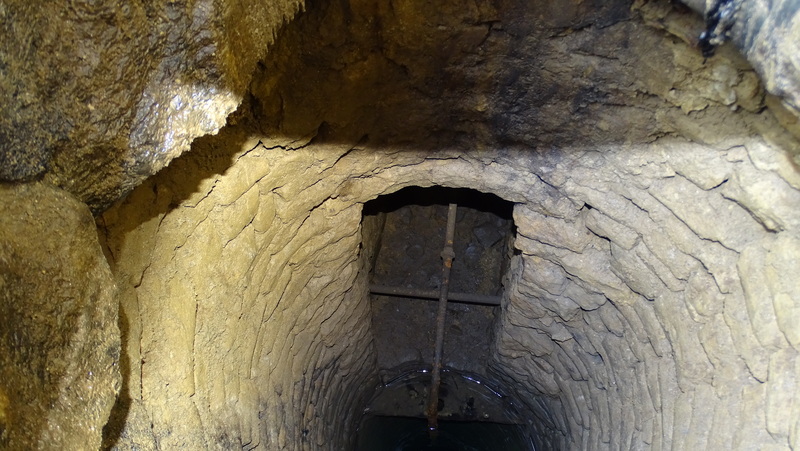 Of course wells were commonplace in Loders, but why has our well got this intriguing passage? Why wasn’t it shown on any of the maps? Perhaps the answer lays in the occupants of the farm buildings – the Marsh family – who may well have been responsible for the addition of the tunnel. 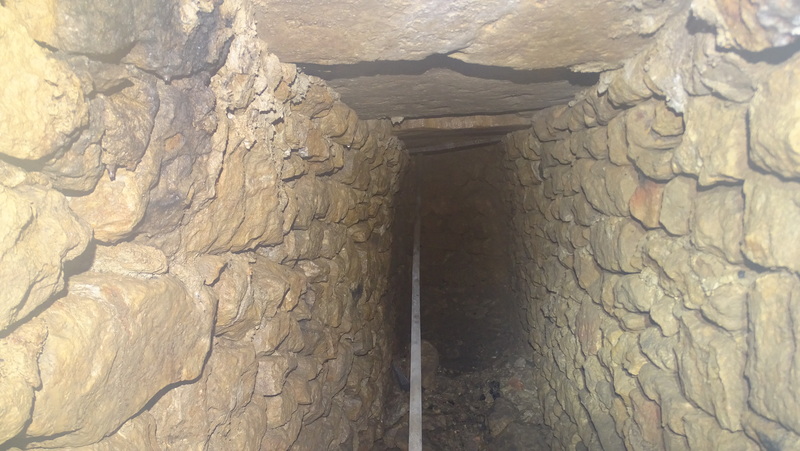 One of the Marsh family served a prison sentence for smuggling, and the history group have speculated that the tunnel could have been a store for kegs of contraband. 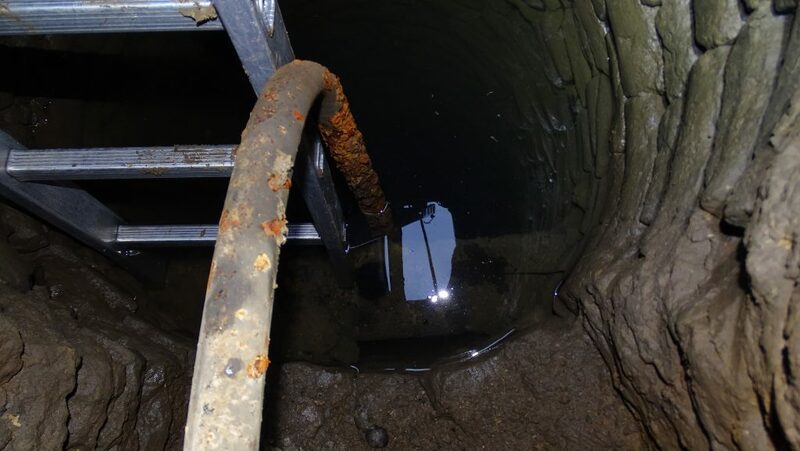 As they point out, the footing just below the entrance into the well gives adequate support for a ladder by which the kegs could have been moved down or up. Half anker casks (Dutch measures) hold approximately 4 gallons and are about 0.5m high by 0.3m diameter. These would easily roll within the tunnel and then stack 3 high potentially giving storage for about 90 casks. 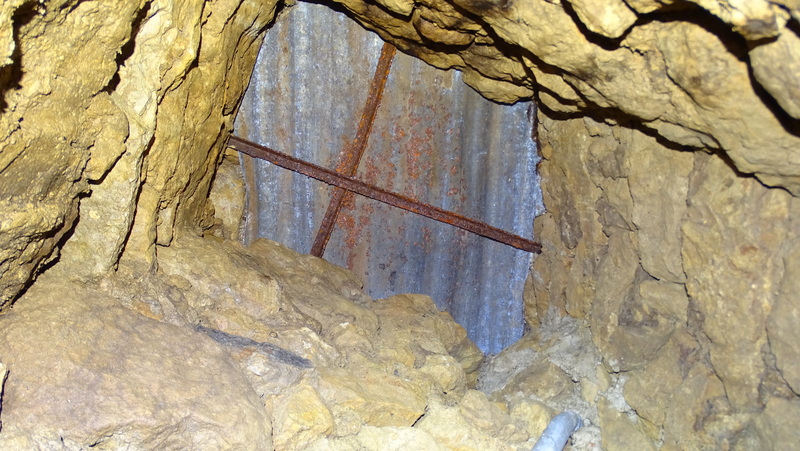 Was there some form of concealment in the tunnel so that it was not visible from the top of the well? We will probably never know for sure, but we would like to thank Chuck, Lucy and all the team in the Loders history group for reintroducing us to our very own piece of intrigue!